One study found that the average 65-year-old can expect an additional 12.7 years of healthy life —meaning he will live disability-free until age 77.7. Highly active 65-years-olds, however, have an additional 5.7 years of healthy life expectancy — they will remain disability-free until age 83.4. Another study found that increasing physical activity after age 50 can add years to one’s life. In the study, individuals with and without cardiovascular disease were compared by the amount of physical activity they did. Men who were moderately active added 1.3 years to their lives and those who were highly active added 3.7 years. Women who were moderately active added 1.1 years and those were highly active added 3.2 years. In addition, people who exercised more also lived more years free of cardiovascular disease. While moderate exercise increases life expectancy, highly active people more than doubled the benefits. Get started exercising by increasing your physical activity every day. Walk more, get up more, and just use your body. Then add in 30-minute periods that you commit to exercise. Do some strength, balance and stretching work. Find a time every day and commit to doing something that's physical. How to Start Walking: You'll find everyone recommending walking as the first step to more physical activity. 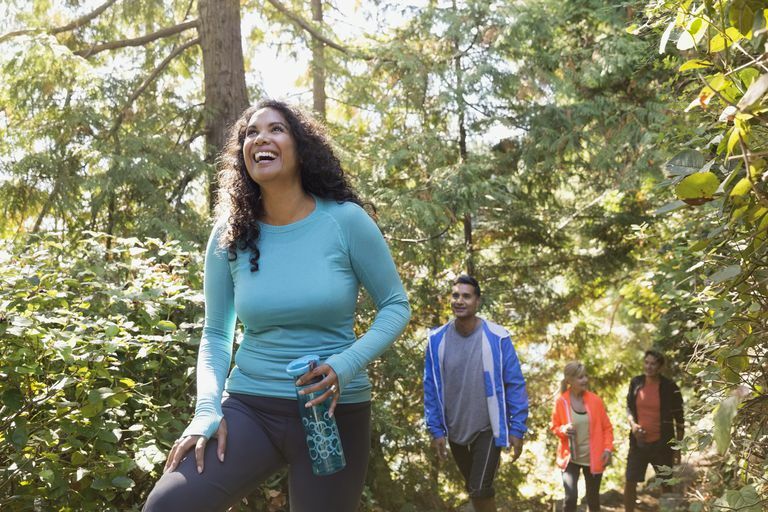 Here's how to get started and how to boost walking into a moderate-intensity physical activity you can enjoy the rest of your life. 30-Day Quick Start Exercise Guide for Beginners: This balanced exercise program for beginners will have you work on all aspects - cardio, strength, balance, and flexibility. You won't be leaving out any part of a healthy activity and you'll become better at all of them. How to Start Bicycling: Riding a bike is a great way to get active and to get around. You can combine a non-impact exercise with going about your daily tasks and getting from one place to another. You might even think about becoming a bike commuter. How to Start Running: If you want to be one of the swift, here's how to get started. Running is a higher impact activity, but if you don't have any problem with your joints, it's an easy way to enjoy moderate-to-vigorous intensity exercise. Make Exercise Fun: 10 ways you can have more fun with exercise. A key part of staying motivated to exercise regularly is to find one that you enjoy. Otherwise, it becomes a grind and you will soon find an excuse to stop. If it's fun you'll keep doing it. Hidden Benefits of Exercise: Why exercise? Besides living longer, here's how it will put more life in your life. Center for Disease Control. "Promoting Active Lifestyles Among Older Adults." National Center for Disease Prevention and Health Promotion. Center for Disease Control. Physical Activity and Health. June 4, 2015. National Center for Disease Prevention and Health Promotion. Franco OH, de Laet C, Peeters A, Jonker J, Mackenbach J, Nusselder W. Effects of Physical Activity on Life Expectancy With Cardiovascular Disease. Arch Intern Med. 2005 Nov 14;165(20):2355-60. Is It Safe for Teenagers to Lift Weights and Exercise?